We do a lot of great public events here at the plantation. 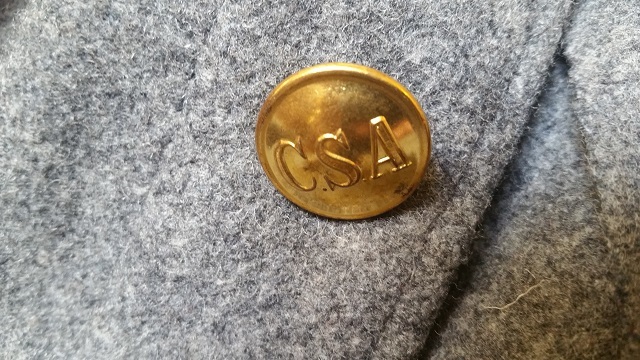 Some of them give us and the general public a chance to dress in a different time period. 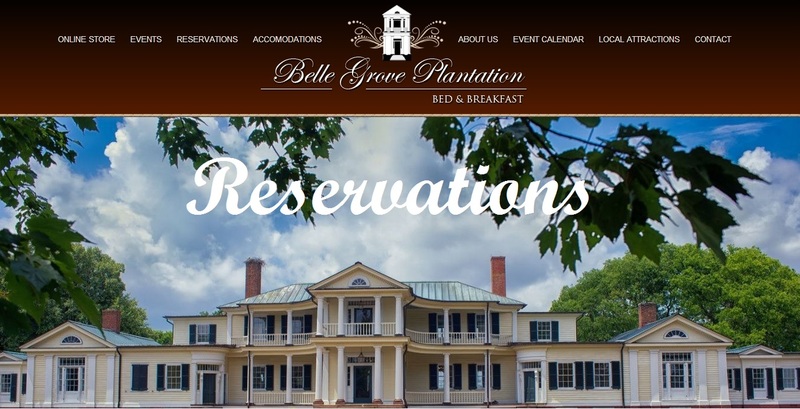 That has to be one of the best parts of being here at Belle Grove Plantation. 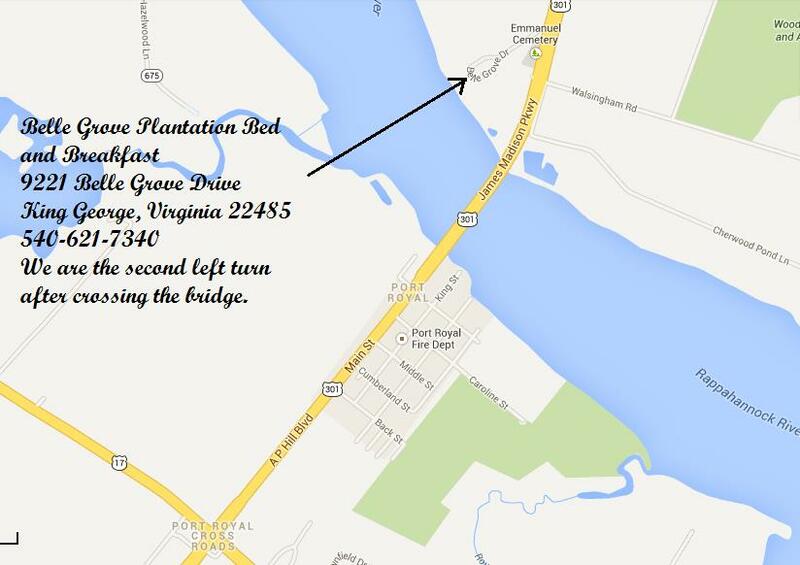 With Belle Grove’s history spanning from 1670 to the present, no American time period is truly missed. Four of the upcoming events will be our Downton Abbey Casino Night on November 14, 2015, our Madison Birthday VIP Dinner and Social, our Titanic Tea on Saturday, April 16, 2016 and our Civil War Weekend on Saturday, May 14, 2016 and Sunday, May 15, 2016. All of these events gives us the opportunity to “live” in that time period. 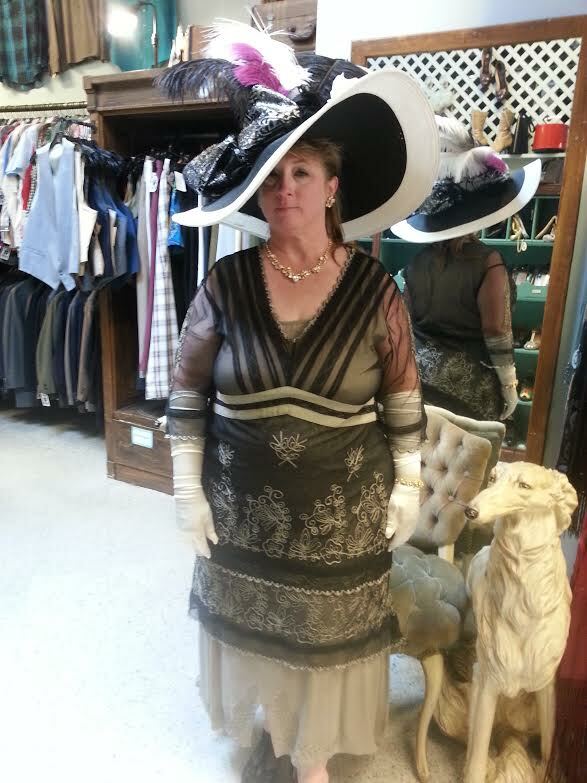 For our Downton Abbey Casino Night, we will be dressing in “Downton Abbey” or “1910-1920’s” style. For our Madison Birthday, we invite you to dress 18th century with President and Mrs. Madison. For our Titanic Tea, we will be having our “Titanic Ladies of First Class” attending in their Victorian Dress. We invite those attending with these ladies to wear their best “Tea Hats”. 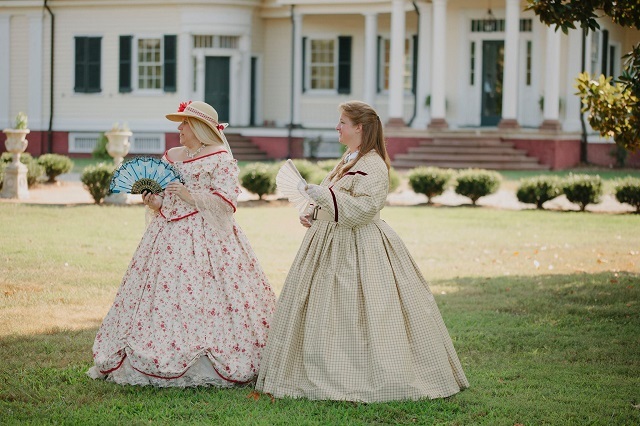 And finally, our Civil War Weekend will give you the chance to be that Southern Belle or Gentile Gentleman with our Civil War Wedding and “Gone with the Wind” Ball. But as people start planning their dress for these events, we get calls from many asking where to find clothing for these time periods. So we thought it would be a good idea to pass along some of our favorite places that we have found clothing. There many more that we are sure that we don’t know about as well. So if you would like to share where you get your pieces, please feel free to email is. We will place it on a special list on our website to help others find what they need. Our first place is Bygones on Cary Street in Richmond, Virginia. 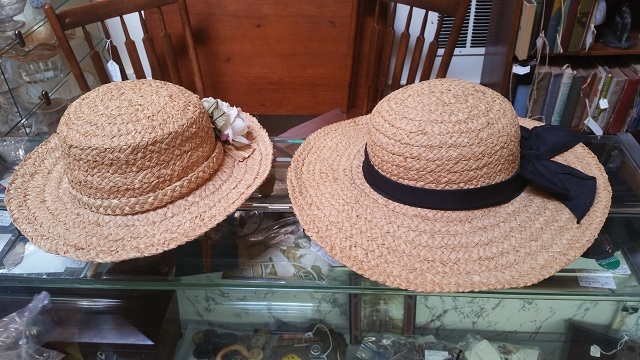 It is here that I found my 1910’s dress and tea hat for our Titanic Tea. 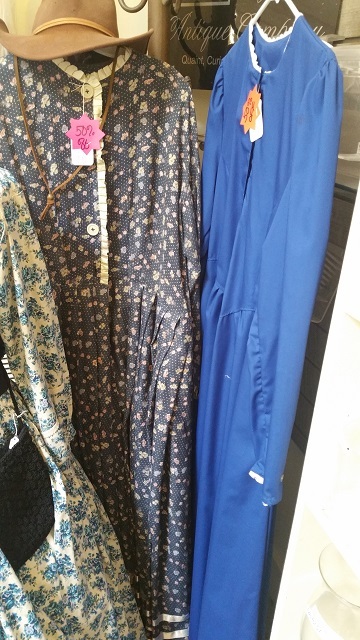 This great vintage clothing store carries beautiful and elegant pieces from the early 1900s. 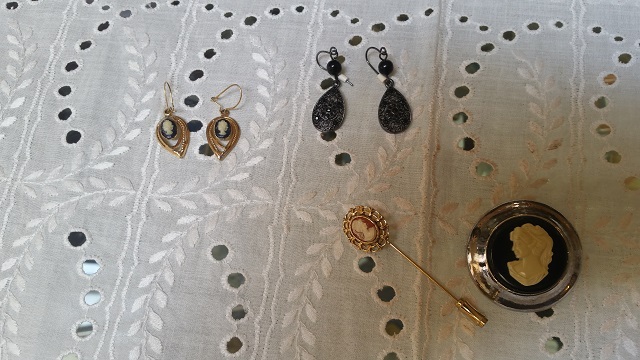 Whether you want to be a flapper for our event or be the lady of the manor, you are sure to find what you need. 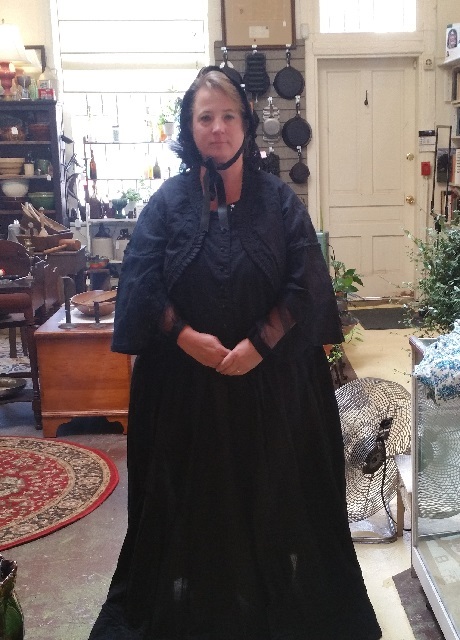 Our second place is Arleen Herriman Antiques and Others Diversions in Petersburg, Virginia. 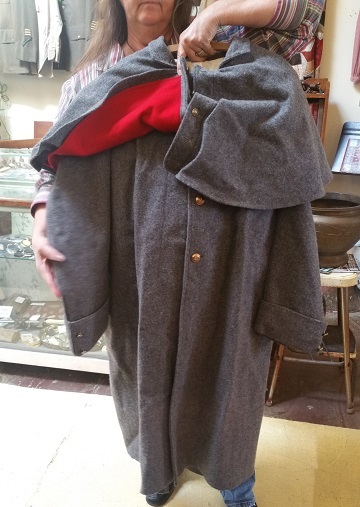 This isn’t a place than normally carries vintage or reproduction clothing, but at the moment I do know she has several pieces that could be used for our Civil War event. I was just down there on Wednesday last week and found a wonderful, reproduction black dress set. It included two hats, six veils, a hand bag, faux sleeves and ear rings. What was so amazing is that it fit! I am not a small or average size so finding pieces can be a little challenging. The dresses she has right now are about an 18 – 20 size. 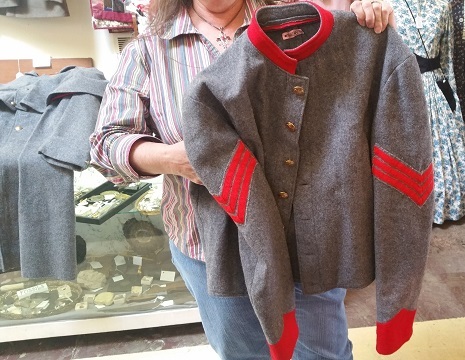 She also has some Confederate Artillery Uniforms. I won’t wait long to get there. These piece are sure to take off. Here are some of the pieces. For more information, please contact Arleen Herriman’s Store. This is my new dress! You may remember my “Day” dress from our last Civil War Weekend this year. 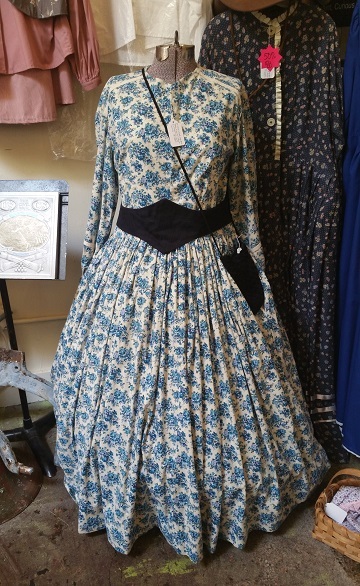 I purchase this dress at Abraham’s Lady in Gettysburg, Pennsylvania. It is a beautiful silk dress that I bought right off the rack. But before you go, you will want to call and check to see if she is open. She doesn’t keep normal hours, but will meet you there if you call ahead. Our second event will be a Civil War style wedding. 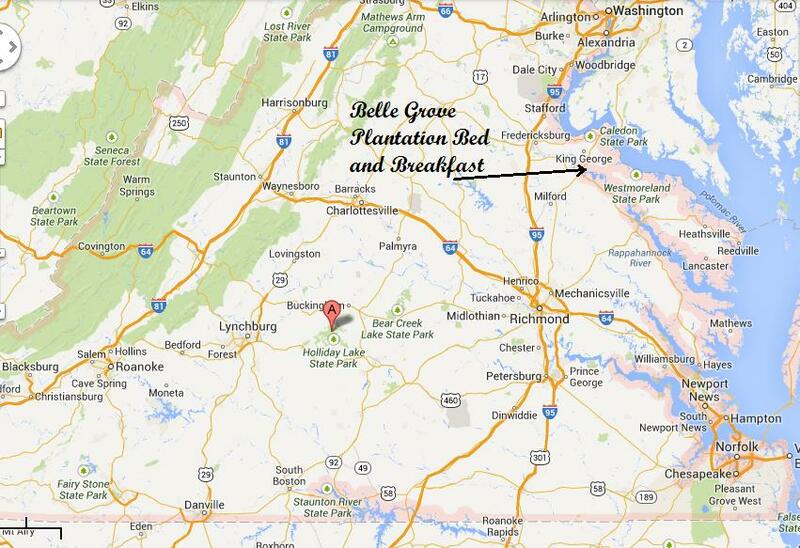 This will be a Vow Renewal for Brett and me, Civil War style. We will be celebrating our 30th Wedding Anniversary in 2016 and I would like to mark the occasion with renewing our vows. 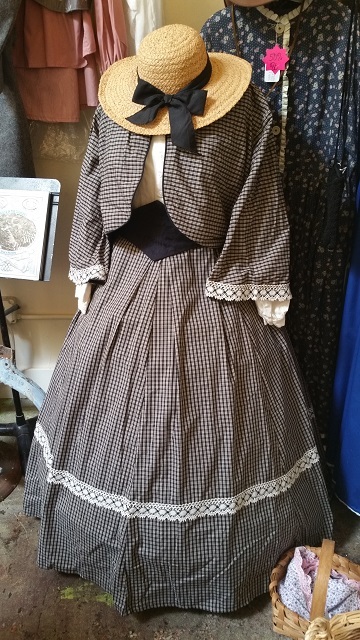 I am in search of someone who makes Civil War Reproduction Dresses. I have a dress in mind for this event, but it will need to be created from scratch. 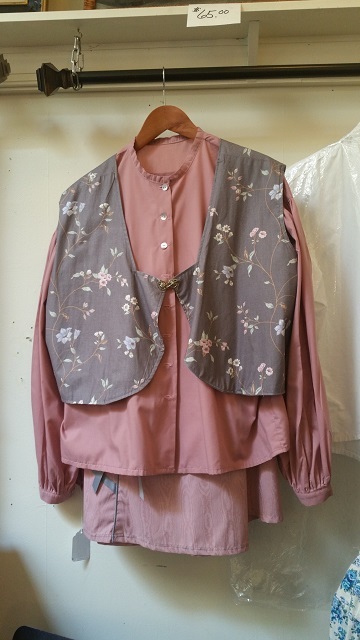 If you are a seamstress up for a challenge, please get in touch with me as soon as possible. Our last event will follow right behind our wedding. This will be our “Gone with the Wind” ball. Ladies in evening dresses, gentlemen “Rhett Butler” and soldiers from both sides. Get your outfits ready soon because we are going to have a “Gone with the Wind” character contest too! 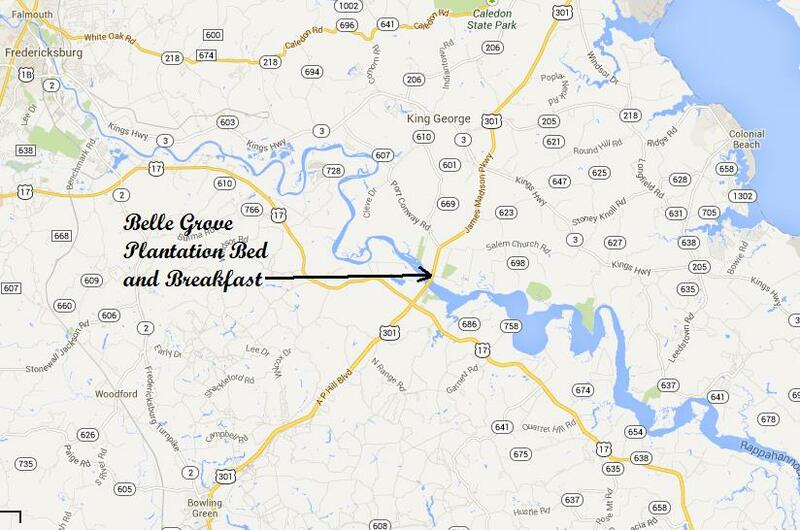 Bring our best Scarlett, Miss Melanie, Ashley or Rhett to win a two night stay at Belle Grove! 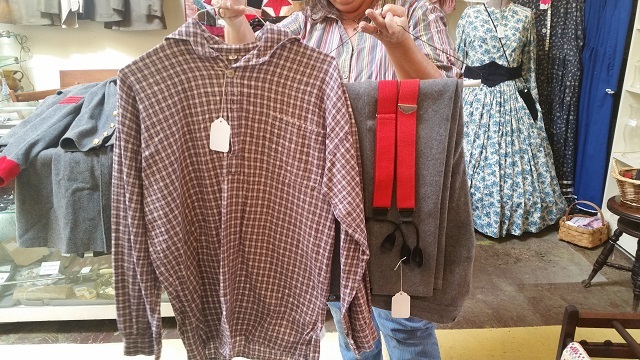 We welcome anyone who would like to refer or step up to help our guests find the clothing they need. 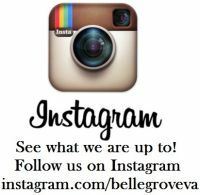 Please email us at information@bellegroveplantation.com. We will be compiling a list for the website. Don’t forget to get your tickets soon! Our Downton Abbey Casino Night is currently on sale at a discount with an additional $50 playing money! Check our website for more details on this and all our events! This entry was posted in Diary and tagged American Civil War, antique, architectural, architectural details, architecture, artifacts, arts, auction, aviation, B&B, Baltimore, Baltimore B&B, Baltimore Bed and Breakfast, Bed and Breakfast, Belle Grove, Belle Grove History, belle grove plantation, Belle Grove Plantation Bed and Breakfast, Belle Grove Plantation Read, Belle Grove Plantation. Belle Grove Plantation, Best of 2013, Breakfast, Carolinus Turner, cars, Christmas, Civil War, Colonial, Commonwealth of Virginia, community, Cookie, Cookie Contest, cookies, current-events, death, dog, dogs, Dolley Madison, donation, drapes, dreams, dress, facebook, family and friends, Food, Fredericksburg, Fredericksburg B&B, Fredericksburg Bed and Breakast, fredericksburg free lance star, Free Lance Star, friends and family, gaming, George Washington, God, golden, golden retriever, heaven, Historic, history, Hurley, inspiration, interior design, James Madison, King George, King George County, mansion, nature, Northern Neck, Northern Virginia, Northern Virginia Weddings, Official Plantation Dog, osprey, pen, Plantation, politics, Port Conway, Port Royal, president james madison, President Madison, restaurants, retriever, Richmond, Richmond B&B, Richmond Bed and Breakfast, silk, Tea, The Virginia Center for Architecture, transportation, travel, Victorian, Victorian Dress, Virginia, Virginia B&B, Virginia Bed and Breakfast, Virginia Living Magazine, Virginia Living Vote, virginia wedding, Virginia Weddings, Washington, Washington DC, Washington DC B&B, Washington DC Bed and Breakfast, Washington DC Wedding, Washington DC Weddings, weddings. I’ve been reading your blog since the days of renovation and restoration. 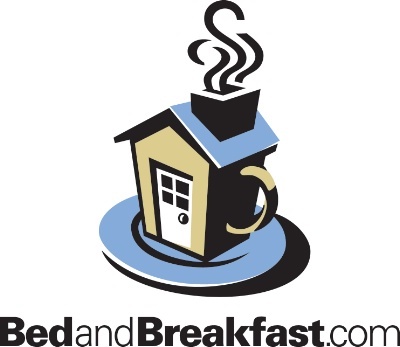 Never, in my wildest dreams, did I imagine your goals for this Bed and Breakfast. Your diligence and vision has propelled you into the realm of “Destination” get away. Congratulations on your upcoming wedding anniversary of 30 years!